Last week, I took a first look at how the new set is going to be affecting Constructed, focusing on Liliana's Triumph and how I think it will change Modern - and even Legacy! As I was looking at early previews for War of the Spark, I started thinking about what was going to change in Standard, and was immediately struck by a question of thresholds: when we have enough of something to be able to have it matter. These two cards go back to the beginning of the game and have long been powerful to a degree that they are format-shifting. Wizard's Lightning and Wizard's Retort are not those cards, though the fact that they sometimes get to pretend they are is deeply significant. One card that has been on the verge of being good enough is Adeliz, the Cinder Wind, which at the beginning of Dominaria saw a brief upsurge in play, before it was kicked back down to the minor leagues by more powerful decks that were discovered and disseminated among the competitive world. This deck looks like an utter riot. I like having fun - so let's save for last. Starting with just base Blue we can ask a simple question: does everything need to be a Wizard to get what you need out of Wizard's Retort? Clearly, as evidenced by Autumn Burchett and many more before the Mythic Championship I in Cleveland, the answer is "no". If you've played this deck or its predecessors, you know that there is a fair amount of wiggle-room available in the list for playing around with the details, depending on what you expect a metagame to look like. If you're looking to power up your Wizard's Retort, there are a few cards you could point to that might be options. Unfortunately, there are very many Wizards that fit the bill for this. Evasion is an important attribute for any creature in a Curious Obsession deck, and so far, we haven't really seen any evasive Wizards join the ranks for Mono-Blue. Augur of Bolas might be okay, but it isn't a very impressive body, especially when you consider just how many creatures are in a deck like this. Erratic Visionary might be a solid card for filtering the draw, but it is reminiscent of Surge Mare but without the massive initial toughness; still, this might be good enough. 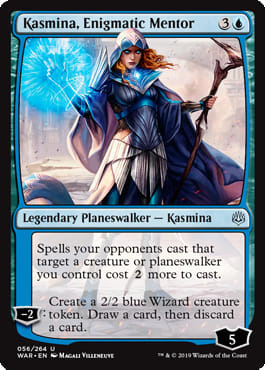 Kasmina, Enigmatic Mentor can create a Wizard right off the bat, then also filter the draw, and the static effect is quite excellent at potentially protecting your Curious Obsession-carrying creature, Wizard or no. While you wouldn't expect to get more than two Wizards, this might still be worth thinking about, if only in the sideboard, especially in matchups that might otherwise be a grind. Lazotep Plating is a more expensive Dive Down, but the upside of creating a creature is actually relevant, especially in a race. It isn't just a Dive Down, either, since it can also be used to stymie spells going directly to your own face - versus an Experimental Frenzy, this can often be huge. It isn't Negate either, but something worth thinking about all on its own. This wasn't world-shattering, by any means, but I do know that my appetite is whetted for yet more Blue Wizards! With Red, we have a bit more to go on, not the least of which is because with enough Wizards, we might be able to reasonably add in Ghitu Journeymage as an extra Viashino Pyromancer! Each of these cards basically feels straight out of Izzet, powering up on the use of more and more instants and sorceries. This is true even of the outworlder, the Dreadhorde Arcanist. Unfortunately, both Burning Prophet and Dreadhorde Arcanist start as 1/3, - not exactly inspiring terror in the heart of an opponent. 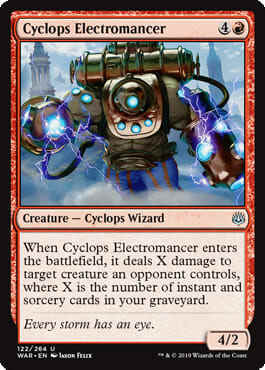 On top of that, Cyclops Electromancer feels much more like a sideboard card. Sorry, Ghitu Journeymage. I think there needs to be more support before you get to make the big show. Still, all of this does seem to inspire the question of and Adeliz, the Cinder Wind. 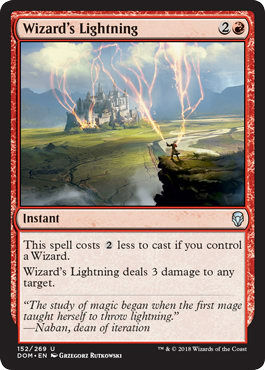 Whether or not we're going to try to play both Wizard's Retort and Wizard's Lightning seems less meaningful than trying to play an aggressive deck that makes use of Adeliz, the Cinder Wind. With that in mind, it really wants a number of cheaper spells, it wants to be, at essence, a Prowess deck. It wants to cast spells actively rather than reactively. As such, perhaps Wizard's Retort, if we use it, belongs in the sideboard. Cheaper spells really legitimize Dreadhorde Arcanist as a card to make use of. 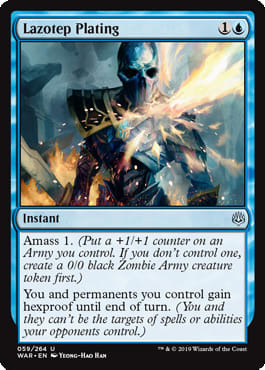 Additionally, Burning Prophet starts to look at lot more intriguing when you're potentially casting several cards into each other, with Opt and Warlord's Fury both finding more cards to keep the train going. Of course, if we are attempting to do a pseudo-Prowess deck, then the Rakdos-style Red cards with Spectacle just start giving you the feel-bads; the first time you try to have Adeliz interact with Light up the Stage feels bad, but that second time, it just feels horrible. There are a lot of things going on in this deck that I love. The first thing I love is the interaction of Adeliz and Dreadhorde Arcanist. 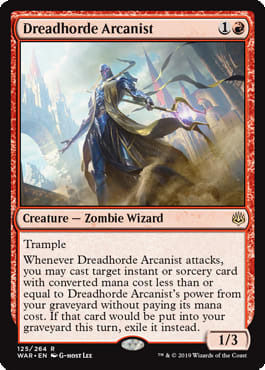 The targeting from Dreadhorde Arcanist happens when you attack, so if you've cast a spell or two, you can very easily cast a free Lightning Strike or Wizard's Lightning when you attack with Dreadhorde Arcanist. Burning Prophet interacts so wonderfully with Adeliz as well. 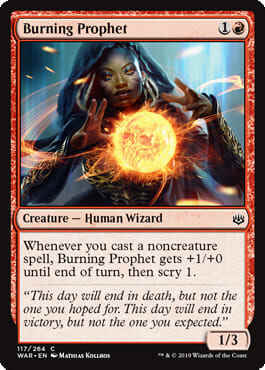 A single Opt with the two of them in play turns Burning Prophet into a 3/4, and the Prophet can help that Opt find another spell, which would make it into a 5/5. With effects like that, it makes me want to try Crash Through instead of some other spell. Viashino Pyromancer is probably the least necessary card in the deck, but I still like it for what it accomplishes in pushing damage. It might be better to replace this card with more spells like Crash Through or even Tormenting Voice. Another Heartfire could also be on the table. Normally I wouldn't like a card like Heartfire, but as an instant, the sacrifice effect doesn't seem too dangerous and the damage output feels very significant. This is especially true in a deck with three Legends. Experimentation (the Izzet way!) may show that I want more or none, but we're still in the early stages. I think that we have enough right now for Adeliz, the Cinder Wind to actually be a real card in Standard. 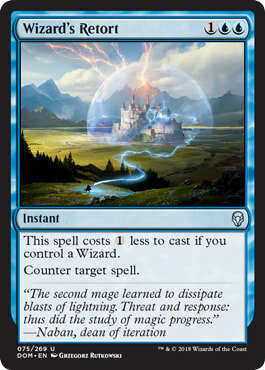 If we happen to have another card from War of the Spark that is a cheap Wizard, we definitely do. If you ask me, that's going to be a very good thing! P.S. For those who have been wondering what is going on with my stream, I'm in the midst of moving to New York City! I'll be back broadcasting as soon as I'm able; stay tuned for more!